Minimum 7 days advance booking is required. Please attach requisition letter stating the Name, Address, Birth Star, Pooja details written in Block letters in Tamil or English only. 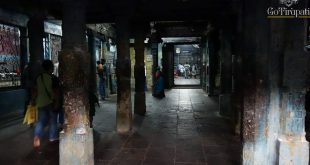 Temple Address: Velur Sri Vaithiyanatha Swamy Devasthanam, Vaitheeswaran Koil – 609 117. Sirkali Taluk, Nagapattinam District, Tamil Nadu, India. 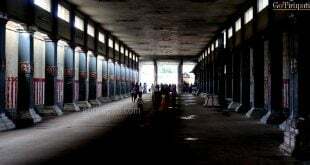 How to reach Vaitheeswaran Koil ? The direct bus is available from Chennai to Kumbakonam. 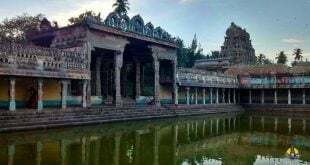 Temple is 50 km from Kumbakonam and 4 km from Mayiladuthurai on the Chidambaram Road. Is there anyway we can offer money to the temple. I am located in Melbourne and Lord Vytheeswaran is our kuladeivam and that’ s y I wish to offer whatever I could in the form of money. Is there anyway I can transfer money to your account. Please advice. There is no such facility,you need to pay directly at the temple counter. Sir .. I want to confirm tat ..is this abhishekam timings are perfect timings .. I’m from Chennai .. so I want to plan accordingly .. tats y I’m asking … And tat abhishekam amount is for one person or how many persons allowed in a single ticket ..? abhishekam will be performed at 4 pm it cost you Rs 400. Then what about the timings which is given above? I mean which is given in the tabular column .. abhishekam 2000rs? abhishekam will be performed at 4 pm and it cost you Rs 400. You need to check with the official site for booking .